Best munk couple :3. I'm back, and I bring Mehr Simonette! :D. Wallpaper and background images in the Simon and Jeanette club tagged: simon jeanette simon+jeanette sploosh. 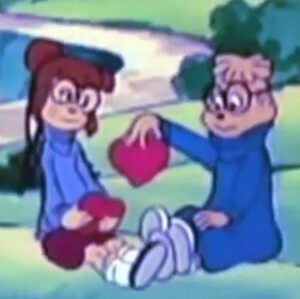 This Simon and Jeanette photo might contain anime, comic, manga, cartoon, comic buch, karikatur, and comics.